This year, the event will take place at Wye River, on Victoria’s Great Ocean Road, with a FREE public showcase in nearby Apollo Bay on Wednesday, October 12. 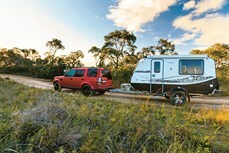 Australia’s biggest caravan test, Best Aussie Vans celebrates the RV industry in Australia and all that it stands for. 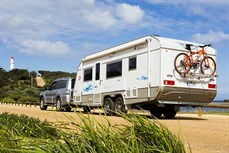 We aim to acknowledge the best caravan manufacturers in Australia, and we set the bar high for competition. 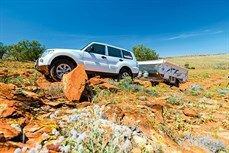 Caravan World’s expert team of reviewers and tow-pros, including Editor Laura Gray, Field Editor Malcolm Street, Tech Expert Philip Lord and Staff Journalist Peter Quilty will put each van through its paces. CHECK OUT THE FULL RESULTS FROM BEST AUSSIE VANS 2016 HERE. 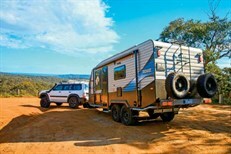 The results of Best Aussie Vans 2016 were published across issue 558 (on sale Dec 1, 2016) and issue 559 (on sale Jan 5, 2017) of Caravan World magazine. It all began with the Pop-Tops category, with an upset win by the Golf Savannah 402. The impressive Coronet FS2, which scooped top honours last year, was pipped at the post by the compact 402, with its rough-road cred and slide-out external kitchen. This category was a four-way contest between the New Age Manta Ray, Jurgens Narooma, Option RV Tornado Equippe, and the Retreat Spinnaker. Each van presented well and performed brilliantly, but in the end, one van stood out: the Spinnaker, all new for 2014 and looking the goods with thoughtful underpinnings, clever storage and even an aqua splashback. Each caravan in this category brought something different to the camp kitchen. The Goldstream Australis showed off its clever 12V system, refined cabinetry, and even a front bathroom. The Jayco Silverline - a classy slide-out (the only rig on test to have one), and that classic Jayco interior. Finally, we have the JB Scorpion, a high-riding offroader with the deliberate stance of a prize fighter at the peak of his career. But it was the brand-spanking new Avida Topaz that ultimate took top prize. These vans were a mixed bag. The Paramount Studio Streamline offers more internal cabinetry storage than you can shake a stick at, and a charming layout. In contrast, we have the bush-bashing Grenade Series II from On the Move. This van has the lot and more, from a rear roof rack with dedicated ladder to an inbuilt rotisserie, and was deemed the ultimate winner.